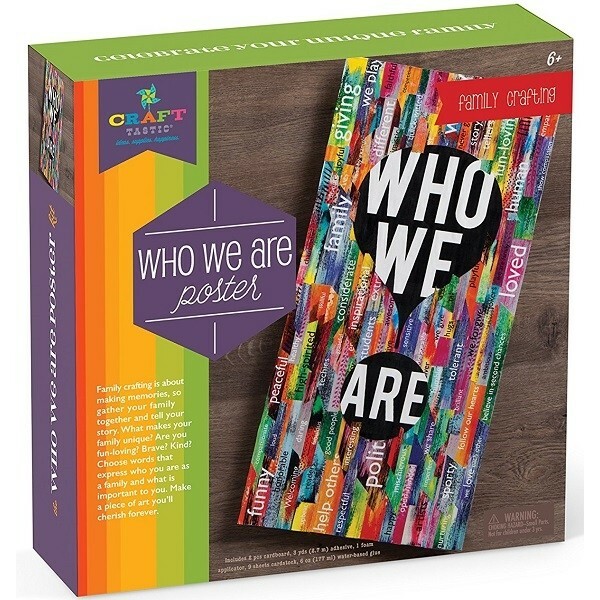 Set aside some time and make something special your family will cherish forever with this "Who We Are" family power kit from Craft-Tastic! Family crafting is about making memories, so gather your family together and tell your story. 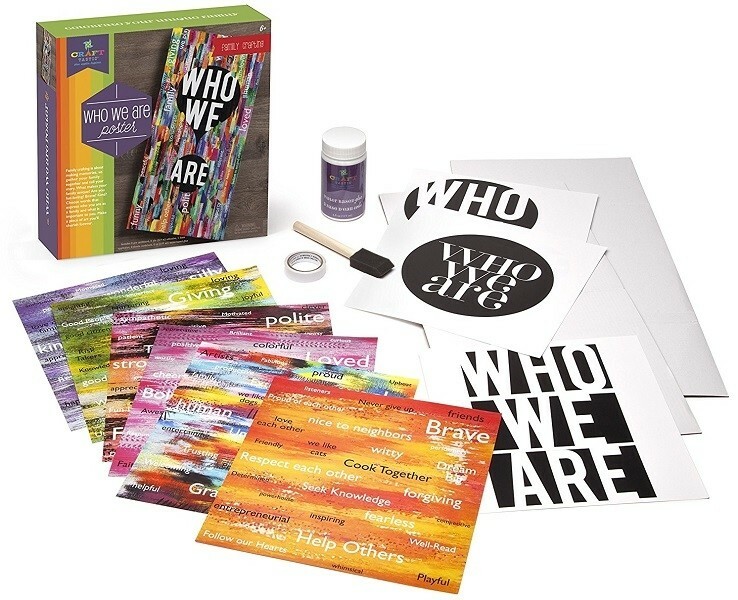 What makes you unique? Are you generous? Silly? Adventurous? Choose words that express who you are as a family and what is important to you. 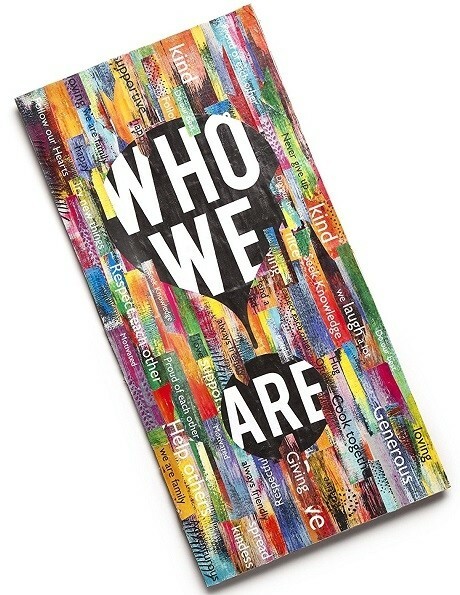 Then, decoupage those words onto your choice of three different "Who We Are" designs to create a meaningful, personalized poster. 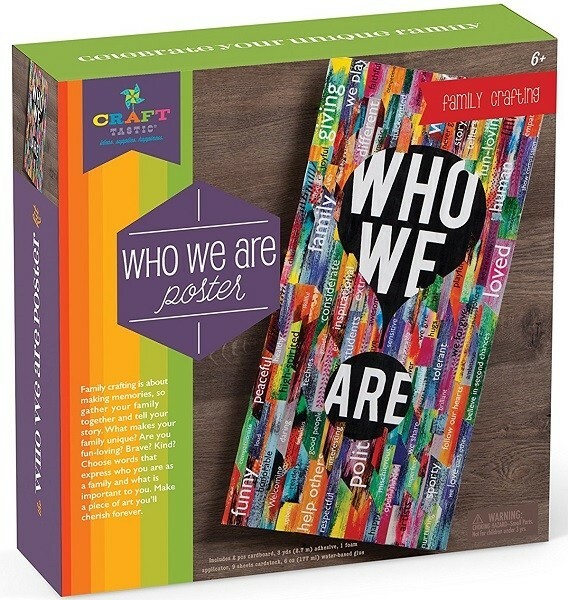 This kit includes everything you need to make your family poster including 9 sheets cardstock printed with words, 2 pieces of cardboard, adhesive, a foam applicator, and water-based glue.